Rohit Srivastwa is a well-known security evangelist and a specialist in IT infrastructure, cyber warfare and cyber-crime investigation. An advisor to several military agencies, law enforcement agencies and corporates in India and abroad. He is the recipient of the prestigious “Microsoft Most Valuable Professional” award since 2012 in the domain of “Enterprise Security”. Both ClubHack & ClubSysAdmin are India’s first ever such communities in their respective domains. Prior to these Rohit has held the positions of Director Technology at Commonwealth Games Pune (2008) as well as Director Technology and Network Operations for Commonwealth Games (2010) held in Delhi. 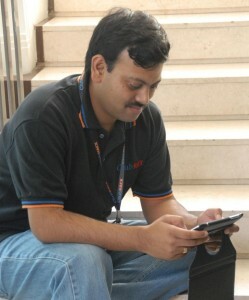 He delivered the complete technology of games and managed every aspect under the umbrella of technology.